Our little Vintage Emporium POPUP Shop opened for business on the 3rd October in the bustling hub of Maylands at 216 Whatley Crescent. We've been really well received in the neighbourhood and have had lots of new people discovering the store and have met many of the old regulars who used to shop at Ivy Forado when it was there. 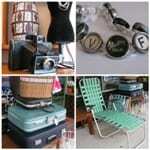 Check out some of my latest retro and vintage finds that you'll be able to check out in store. Now that I'm in a bricks and mortar store you'll be seeing a few more small furniture items. Hope can you drop in soon and maybe find yourself a treasure or two. A day at home normally involves doing work on my husband's business, and this week especially, I felt like I'd been stuck in the office for way too long. So with a yearning for a bit of sunshine and a need to get some excersice I took off for a bit of a walk in the neighbourhood. Well that just happened to involve a trip to the local op shop and it didn't disappoint. Check out some of the latest finds. A trip out of the Perth metro area always deserves a visit to the op shops, and antique & collectables stores dotted along any route. This time we were heading to Bremer Bay and I was able to collect these great pieces along the way. The orange theme seems to be pretty dominant with this find and I suppose when you love the 60s & 70s era that's easy to do. I'm pretty happy with my finds so far, and hopefully you'll get to see them at my next event or on my online store which is coming soon!! 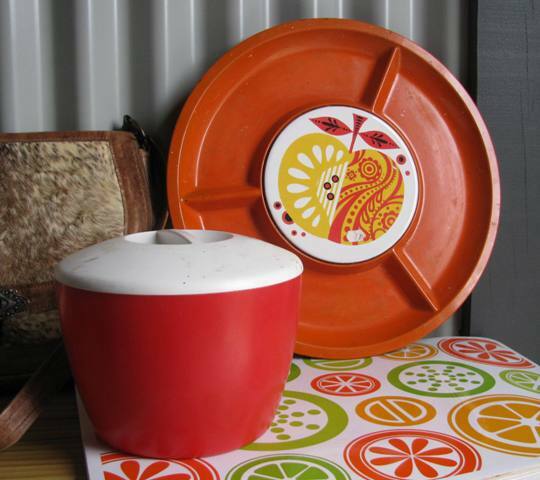 of retro, mid century and vintage furniture and collectables, from the 1950s, 60s, 70s and 80s.